How did you become a world-renowned expert in sales? | Sarder TV – Learning Ideas. You are at:Home»Introduction»How did you get started in your career & become a world-renowned expert in sales? How did you get started in your career & become a world-renowned expert in sales? 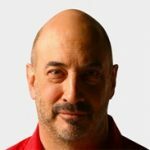 Jeffrey Gitomer, international trainer, author and an expert in sales and personal development speaks with Sarder TV correspondent, Kelsey Hubbard about his exceptional career. He discusses his beginnings as an entrepreneur and his approach to sales that led to becoming a sales trainer and then a best selling author. Next Video Tell us about your new book Truthful Living: The First Writings of Napoleon Hill.